Dr. Karen Kenney – Political & Current Affairs Blog Published by Celeste Greig. and so apropos to our current times and rulings rendered by the United States Supreme Court, kind of a little bit long but worth the time to read it. A SFV Patriots Ben Franklin Read! As we struggle with the impact of recent SCOTUS decisions that strike a hammer to the cornerstones of Separation of Powers, here is an historic document authored by patriot Thomas Paine to Gen. George Washington in the winter of our nation’s revolution to wrestle liberty from tyranny. You may recall the opening lines or even the first paragraph, however, the inspiration for patriots to weather “The Crisis” permeates the entire document. 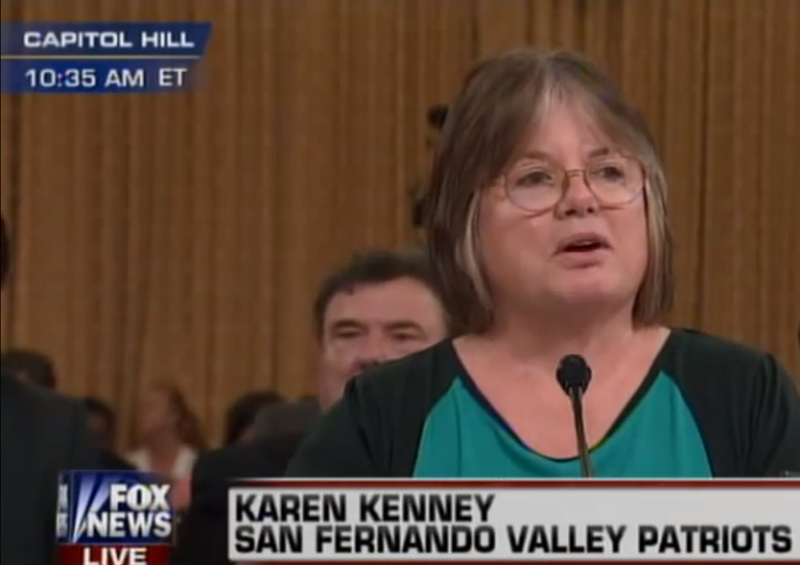 by Dr. Karen Kenney – Executive Director-Founder of the San Fernando Valley Tea Party Patriots. America cut its economic teeth on free-enterprise, tariffs and trade based on “comparative interest”–i.e. Swiss makes great clocks, not tires. America makes great tires, not clocks. Let’s trade. Yes, Fair Trade used to be that simple. Not anymore. Not with this Congress–with Progressives in both parties–and not with this President. In fact, the devil is in erasable ink. Facts and fictions point to parts of TPP, which handcuff the trade-treaty powers of Congress and enhance executive “fast-track” authority over a boatload of issues from labor and immigration to the environment, civil rights, tariff and global versus national sovereignty. As the Democrats and Republicans joust with the Obama Administration over the (TPP) Trans-Pacific Partnership and all the acronyms tied to it (TAA) Trade Adjustment Assistance or (TPA) Trade Promotion Authority, murky waters are now muddy to even those who value prosperity and free-market principles. There is a call-to-arms from Conservative broadcasters asking voters to tell Congress to STOP any trade action with this President. Meanwhile, GOP leaders are on the verge of snatching TPP from the jaws of defeat by union-loyal Democrats. Who thought Nancy Pelosi would counter Obama on this one? The conflict seems to be based in confusion over the blurring of Free Trade principles, corporate cronyism and national versus global interests. Meanwhile, mistrust abounds in Obama’s Progressive policies and the failure of GOP leadership to effectively contain the Leviathan of federal “red tape.” Too many times, Congress has betrayed its promise to pass, then “fix,” a broken bill later. To assist you in being informed patriots, here are four articles that target the “comprehensive” nature of the TPP under the scrutiny of Conservative standards. Remember, when the Beltway and this White House huddle on anything “comprehensive”–from immigration to healthcare–the U.S. Constitution is in the cross-hairs. I encourage you to contact your Congressional representative to pass a “clean” trade bill that preserves Constitutional treaty powers and America’s sovereignty.